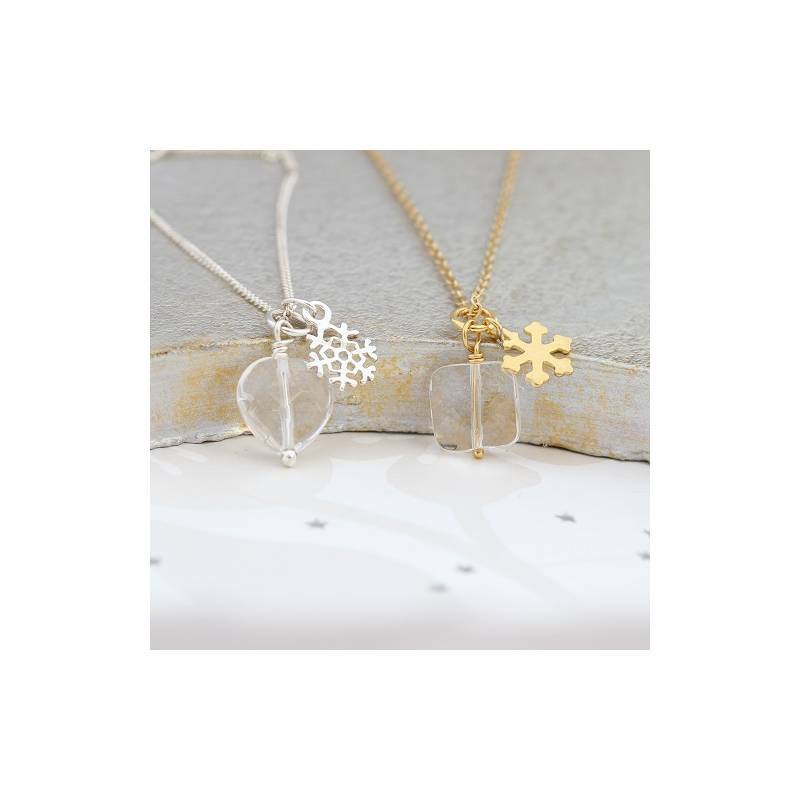 A shimmering sensation for winter brides, this Faceted Crystal Wedding Necklace features a dazzling snowflake charm and a shimmering crystal quartz pendant that will add subtle sparkle to your wedding day look. Offered in sterling silver or yellow gold plate to complement your wedding ring selection, this enchanting bridal necklace includes a classic chain available in three lengths, a simple clasp fastener for ease of dressing, and a faceted crystal charm offered in heart or square shapes. 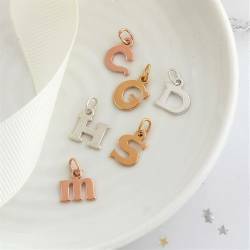 You can add your personal touch to this wedding necklace by adding the initial charm of your choice, making a personalised keepsake for bridesmaids and flower girls. 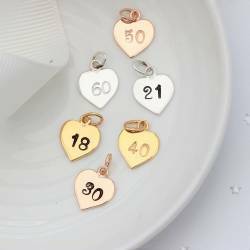 Can be worn with or without the pendant and charms. 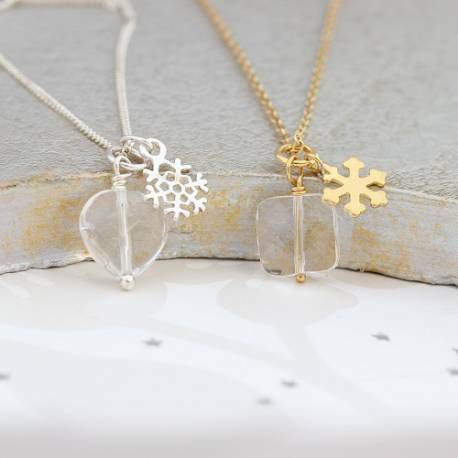 Sterling silver or gold plate and natural crystal quartz. The sterling silver chain has a extension chain so the shortest length is 16"/ 40cm but it extends upto 18"/ 45cm. There is also a 14"/35cm length chain for children. The gold plated versions are either 14", 16" or 18"